Who doesn’t love a lobster roll? But it can be pricey and filled with “other” stuff! Make this decadent dish at home and serve with homemade mayo that will blow any fancy seafood joint out of the water! Summer always reminds me of past family vacations on New England seaside towns. Digging for clams, collecting sea shells, fishing, having clam bakes, and scarfing down seafood, especially, lobster-by-the-pound, are just a few ways we used to enjoy coastal vacations. And when I say “lobster-by-the-pound“, I don’t mean dining out at fancy restaurants where lobsters already come cleaned, cracked, and garnished with pretty greens. I mean, finding off-the-beaten-path lobster shacks where the dress code is “come-as-you-are” and flip flops are optional. You pick the lobster as you walk by the tank before making your way to your (picnic) table covered with ocean flavored red checkered vinyl table cloth. Your lobster is served, cooked to perfection with corn on the cob drenched in clarified butter. Cole slaw on the side is sweet and beer tastes even sweeter. But as I get older, I find one of the neatest ways – literally and figuratively – to eat lobster is on a lobster roll. A good lobster roll is more than just a stuffed hot dog bun with some cold lobster salad made from last night’s dinner special. Over the years of eating lobster rolls, up and down the East Coast (Sorry Florida, you don’t do a lobster roll justice. You should just stick with your stone crabs), I think I’ve mastered the secret to a perfect lobster salad recipe. And when you make them at home, you save an insane amount of money. For example, one of my local restaurant’s lobster roll cost $19 for lunch!! And it’s served on a hot dog bun filled with less than a 1/2 cup of lobster salad that probably uses less than 1/4 cup of lobster meat. Everything else is a filler. On the other hand, I can buy a fresh live lobster, flown from Nova Scotia no more than two days ago, at a local grocery store at $5.99/lb! It’s a sin to eat lobster rolls at restaurants. Really. 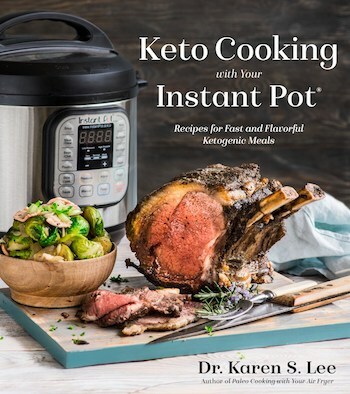 For this recipe, I used 5, 1-1/2 lb. lobsters (you don’t want lobsters larger than that.) 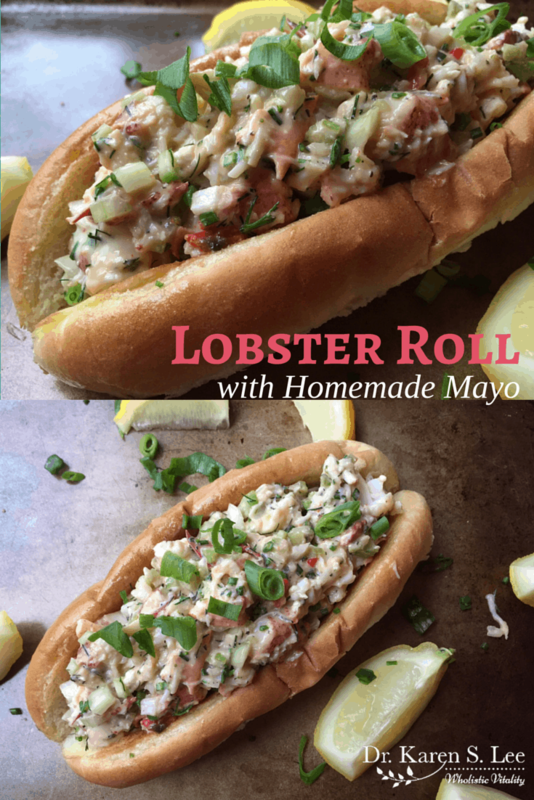 for 8 gigantic hero rolls – not small hot dog buns – and that cost about $40 for the lobsters! Now that your mouth is watering for a lobster roll, you’re probably wondering, is lobster nutritious? Is it healthy? is rich in sodium, potassium, phosphorus, calcium, and magnesium. It helps various health conditions such as osteoporosis, arthritis, heart disease, and any chronic conditions that involve bones, connective tissues, heart and blood vessels. has trace amounts of minerals, iron, zinc, copper, manganese, and selenium. It helps with brain function, immune system, vision, skin and cartilage rebuilding, and healing properties. Great for fighting free radicals and act as an antioxidant, helps with metabolism, monitors oxidation of cholesterol to prevent coronary artery disease. is a good source for Omega-3 fatty acid, which is a great natural anti-inflammatory that helps with brain and heart functions. rich in choline with significant amounts of vitamin A, E, B6, niacin, and pantothenic acid. Has small amounts of vitamin K, B12, and folate. Lobsters also help in maintaining circulation and neurological functions as well. 100 grams of lobsters have 90 calories. Calories from fat are only 8. Actually, I have a few secrets. Here they are. How to buy a lobster – Always buy fresh live lobster. Pick a lobster from a live tank that is active with their tails curled up or flapped, instead of the ones with tails hanging down or lethargic looking. You want feisty lobsters. It’s about the bun – To be specific, it’s about the hot grilled buttered roll. Make ghee by simmering grassfed unsalted butter and set aside. If you don’t have the New England style bun – the one without the crusts on both sides – cut the typical hot dog bun on the side edges, coat with ghee and warm them up on the sides. 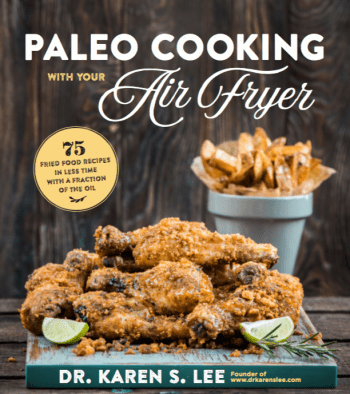 If you are eating Paleo, use gluten-free rolls. 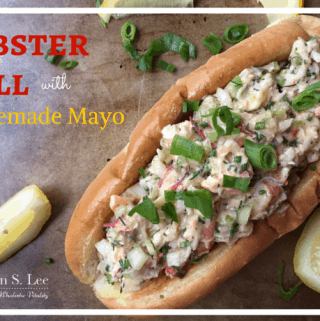 Homemade mayo – You don’t want to ruin a good lobster roll with store-bought mayo that uses unhealthy canola oil (hydrogenated and GMO oils are never good for you.) My version that uses cold expeller pressed avocado oil is healthier and so much tastier than anything from a store bought jar. Make extra and store it in an air-tight jar. There you have it. Those are my secrets to making perfect lobster rolls. So let’s make some lobster rolls! 6 Tbsp Ghee for the buns from grassfed pastured butter like this one or Ghee like this one. Put them in a large glass bowl and refrigerate until chilled. Chop all the vegetables and herbs and set aside. When lobster meat is chilled, add vegetables, herbs, mayo to the bowl and mix well with your hands. Refrigerate for about 30 minutes for flavor to marry. Split the hot dog buns, spread ghee and brown the sides on a hot grill or a pan. Fill warm buttered buns with lobster salad, squeeze the lemon juice on top and serve immediately.